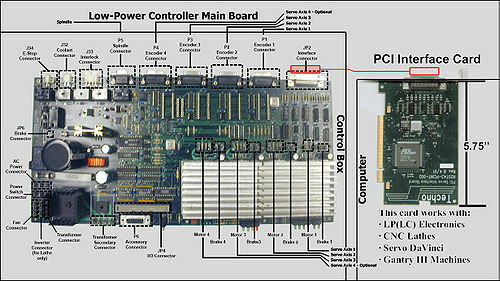 The controller mainboard is the router or lathe control electronic system. 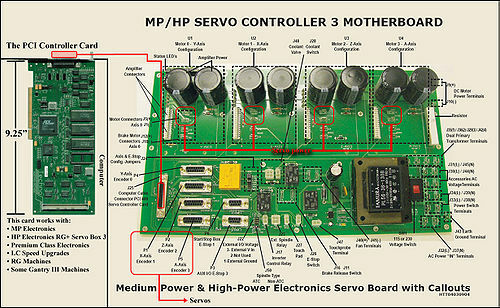 Consult LC Servo Controller connector pinouts for details. You can also download and reference the LC and Lathe Board with Callouts (pdf).